How the Page Builder works? You’ll notice that when you hover your cursor over a particular block, controls pop-up which allow you to sort or delete the block. Clicking on the ‘trash’ icon will delete that particular block, and if you hold down the cursor on the ‘double arrow’ icon - you can then drag up or down, to reposition that particular block. New blocks can be added to a page when clicking the ‘Add Block’ icons - which are positioned at the top and bottom of each page, as well as in between each block. These ‘Add Block’ icons are highlighted when rolled over, and the specific icon clicked on determines where the new block will appear. Upon clicking on the ‘Add Block’ icon, you’ll be presented with the panel display the various available block types. So, to recap: A page in made up of content blocks, each of which take up a row of your page by default, and are stacked vertically. So how do you put blocks side by side? The answer is with the Grid Block. The Grid Block provides the ability to have any number of blocks appear side by side. Much like other blocks, a Grid block takes up a whole row of your page, and can have any number of columns. The power comes with the ability to then add blocks to any of the columns. Page title - This is the name you specify to help you identify the page within your Pages List. It is also used to generate the starting path (browser URL) for your page. Page path - Once you have saved a page, you have the ability to set its path. The path is used to make up the URL for a page. Based on the screenshot above, the page will be found at: example.com/pages/summer-lookbook. 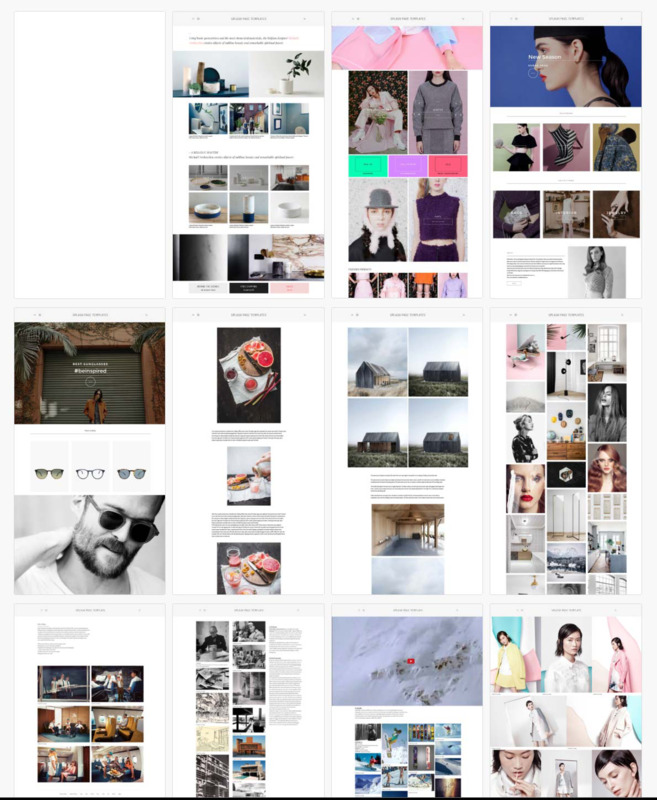 By being creative with the Page path, you can add hierarchy to your pages, for example: /lookbooks/2016/spring-summer. Meta Keywords and Description - These fields allow you to set keywords and a description which then appears in the <meta> tags of your Page. Keywords are of decreasing benefit to SEO in recent times, but the Description field is often what is displayed alongside your page result in Google for example. You are now ready to create your first page! If you get stuck, or have any comments, please do reach out - we'd love to hear from you. Be sure to check out the full set of Pages Builder related articles - there's goodness therein!